The notion that hand-made cars were superior died hard. Maybe it’s still true of shirts or suits, but by and large cars made by machines are better than any cobbled up on engineers’ lasts. Components used to be hand-crafted to fit but precise modern tooling makes things more reliable, more repeatable and refined. In 1989 I was underwhelmed by a Maserati 222E and Motor1.com agrees. Anthony Karr thinks the much-hyped Biturbo ruined the Italian maker’s reputation. 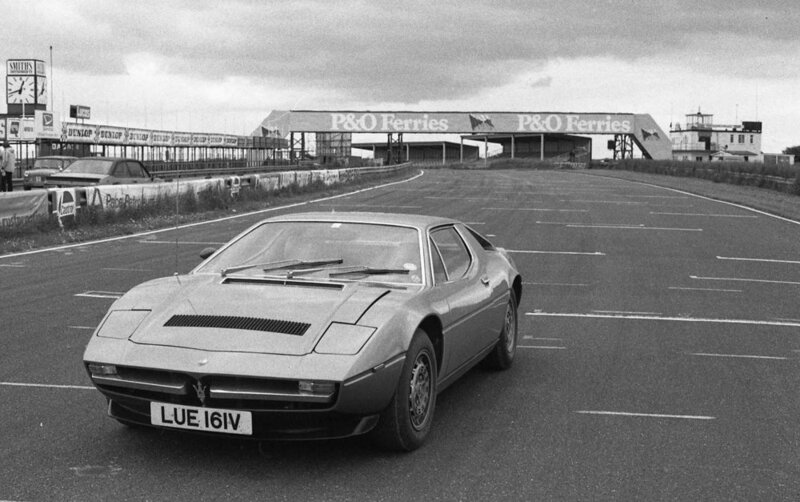 Karr was also right about the mid-engined Maserati Merak. I photographed one I tested at Thruxton. Its engine was derived from the 90deg V6 of Giulio Alfieri designed for the Citroën SM and adapted for the dreary 222E. I certainly thought that engine looked the part, with chromed pipework and a red paint crackle finish on the cam covers, - just like a Ferrari Testarossa (red-head). Alas, the rest of the car was technically passé, notwithstanding doubling-up the turbochargers. The firm springing gave a jiggly ride and in the wet the rear could snap out of control without warning. Anti-lock brakes were not available even as an option, a refinement that came as standard on a regular Ford Granada and my test car's handbrake would have failed an MoT. Inside, the polished wood veneer, leather and Alcantara, (pictured) which looked and felt like expensive suede, gave an air of luxury but the seat belt snagged in its guides, a detail Porsche would never have overlooked. Expensive in 1989 at £32,450, the Maserati had neither the style of a Japanese coupe half its price, nor the grand manner of other costly Gran Turismos. Maserati began in 1919 when Alfieri Maserati and his brothers began building racing cars. Until 1957 they made hardly anything else, the 3500GT establishing Bologna as the spiritual home of the hand-made, expensive and singular Italian sports car. The brothers sold out to Adolfo Orsi in 1947 when Maserati might have evolved into rivalry with Ferrari in nearby Maranello. It made one of the great racing cars of all time, the exquisitely proportioned Maserati 250F and magnificent sports racing cars such as the A6GCS, writing the name indelibly into motoring history. Receivership came and went in 1958 and ten years later Maserati was making over 700 cars a year.